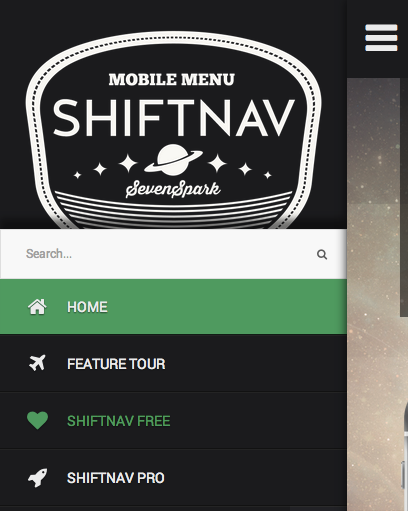 UberMenu implements a single-menu responsive solution. 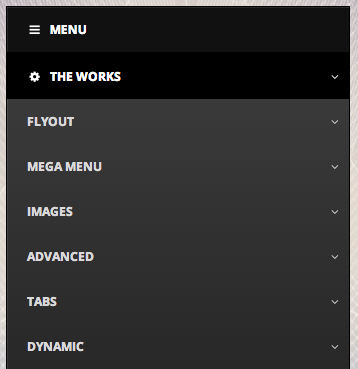 Below 960px, the menu collapses into a menu toggle which can be clicked to reveal the menu items. UberMenu remains full-size on larger devices like horizontally-oriented iPads. Read the articles below for information on the default breakpoints, using UberMenu on mobile, strategies for hiding menu items at different resolutions, and troubleshooting themes with existing responsive menus.